Comprising a majority of the 19,000-plus dentists across Canada and the Unites States, general dentistry is the most practiced form in the dental profession. It makes up a whopping 89 percent of practicing dentists, with the remaining 11 percent classified as specialists. At Fraserview Dentist, general dentistry is our bread and butter. 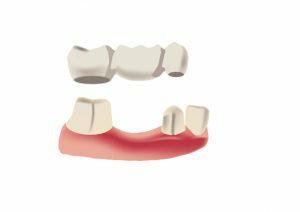 If you were wondering what was covered under the scope of general dentistry, here’s a look into what falls under this broad term. General dentistry is usually broken down into three subjects: preventative services, cosmetic services, and restorative services. In most cases, preventative services are the most common of the three. The main goal of preventative dentistry is to prevent any disease or detrimental condition in the mouth before it causes serious damage. To do this, our team of dentists provides several services, with most of the procedures provided during a routine checkup. 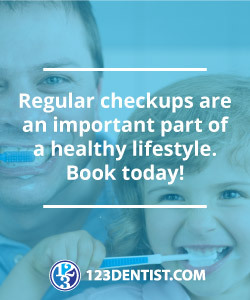 When you come in for your yearly or biannual checkup, we’ll examine your current oral hygiene (both visually and with X-rays), provide professional teeth cleaning, and discuss any concerns we may have. 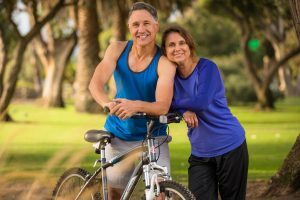 In some instances, we can also offer advice on how to improve your oral health or talk about procedures, such as sealants or mouthguards for sports, that may benefit the future health of your teeth. The idea is that it’s all about preventing problems before they occur, which improves your overall health and eliminates the need for lengthy or expensive procedures in the future. Cosmetic dentistry is widely offered and accepted as a social norm throughout the world. The most interesting part is that it improves the patient’s health both mentally and physically. If you put a premium on having a sparkling set of pearly whites, our dentists can assist you with services such as teeth whitening, cosmetic bonding, dental implants, crowns, and even porcelain veneers. 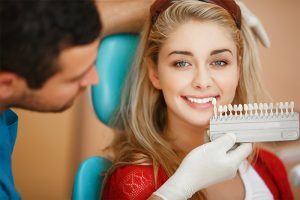 Cosmetic dentistry aids patients in feeling more accepting of themselves while improving confidence in social settings. These services also have a number of physical benefits. For example, although veneers and crowns address cosmetic issues, they also have structural advantages – this includes improving a smile without invasive or lengthy procedures, protecting existing chips and cracks in the teeth, and preventing the teeth from damage in the future. During a checkup, we may find that there’s a potential problem with your teeth, even if it isn’t visible. That’s where restorative services help. 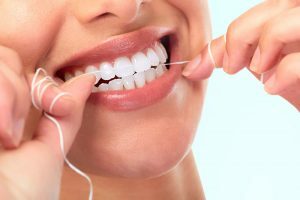 The most frequent type of restorative service is a filling, which prevents tooth decay and holes in the teeth caused by lingering food, too much sugar, or genetic predisposition. While this is the most common type of service, it isn’t by any means the only type. Emergency services are another type of restorative service that our patients need. Most often, this is for dental trauma sustained in an accident or sporting event. If you get a tooth knocked out playing hockey or after a fall, we will quickly try to repair or save the tooth. In other instances, emergency services may be necessary if you have a toothache that doesn’t seem to dissipate over time or with anti-inflammatory medication. Another aspect of restorative services also aligns with cosmetic dentistry. If you have missing teeth or need teeth pulled, our team will figure out a way to return your smile to its former glory. This can include bridgework, crowns, and even dentures. Not only does this provide an improved cosmetic appearance, but it returns your teeth to their normal state, allowing you to eat, chew, and drink without any problems. General dentistry may also include some form of oral surgery, depending on the scope and severity of the problem. A tooth extraction is an example of a simple procedure that most general dentists, including our own, practice. In a roundabout way, your oral hygiene is an insight into your overall health and vice versa. Problems with your teeth and oral health may affect other parts of your body, and sometimes only a change in lifestyle or help from us will improve the situation. For example, if you suffer from sleep apnea, you may be constantly fatigued and have potentially life-threatening breathing problems during sleep. While there are expensive remedies for this problem, sometimes something as simple as an oral appliance will fix the problem, and we can make it in our office. Other examples might include a worsening of other conditions such as diabetes or immunodeficiency due to an infection in the teeth. Without treatment, this can cause severe complications. We also provide advice on how to improve your general and oral health through nutritional change and smoking cessation. It’s just another part of general dentistry aimed at keeping you healthy. General dentistry is a practice designed to keep your oral health in peak condition while providing a smile that lights up the room. Now that you know more about what it entails, you’ll know what to expect the next time you’re in for a checkup.